Monsanto "lied" in the US Supreme Court that they'll never sue farmers for inadvertent contamination of their fields, William Engdahl, author of “Seeds of destruction: GMO’s hidden agenda,” told RT. RT:How serious is this ruling for farmers who are caught out growing GM crops through no fault of their own? 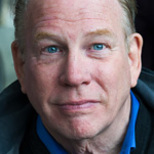 William Engdahl: It’s quite serious and it’s really outrageous that the Supreme Court has once again taken the side of Monsanto on the GMO cartel and ruled against natural farming. The implications of this are huge because, first of all, Monsanto lied in its statement to the Supreme Court. They lied brazenly by saying they never had and never will sue farmers for inadvertent contamination of their fields. But they have sued countless farmers – Percy Schmeiser, a farmer in Canada, is a vivid example of that. Monsanto has a team of lawyers that go out and terrorize farmers in the US and Canada. When the wind blows the seeds from a Monsanto field across to a non-Monsanto field it says, "OK, now you have to pay." This is like a mafia selling protection. RT:Surely Monsanto has to protect its copyright and keep the threat of suing farmers, it spent huge amounts of money developing the genetically modified seeds after all. WE: This is a part of the monopoly pushed by Monsanto. They are buying up seed companies all around the world to take ownership of the proprietary seeds. This is a concentration of power over the human food chain. The first ruling in the Supreme Court in the 1990s that you can patent life, that you can take a patent on life by injecting a foreign gene – that was a false decision to begin with. There has been a whole sequence since it, and it's the influence buying of the agribusiness that made it possible. That’s a horrendous development for the future of food security in the world. RT:Isn't there a consumer rights side to this? Some people buy organic to avoid genetically modified food. Can consumers be sure they're getting the real deal these days? WE: Not at all. Especially since Monsanto, the biotech cartel spent millions of dollars to block the labeling initiatives in California and in Washington states last year. They spent millions of dollars to make sure that consumers don’t know what they are getting when they buy Kellogg's cornflakes or Cheerios on the shelf for their kids or countless other things. Most of the meat in the US, if not all of the meat, is GMO-fed. RT:How important it’s for farmers to be protected nowadays? WE: It’s very important but they are not being [protected]. 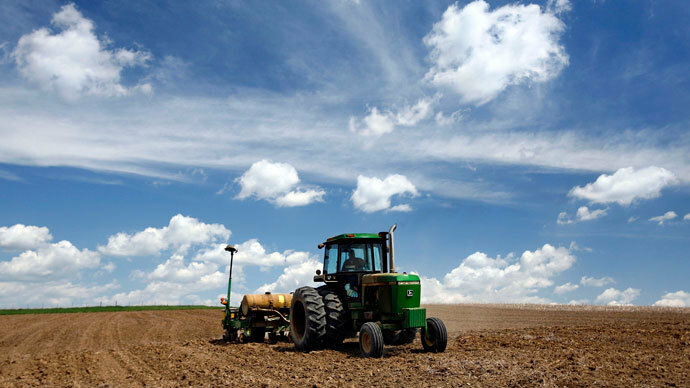 The Supreme Court is really on the side of industry against natural farmers, organic farmers. That’s a very bad development in the United States.